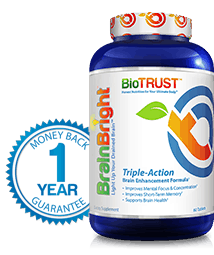 Brain Bright by BioTrust is a “triple-action” brain-boosting supplement that aims to improve focus, memory and overall cognitive wellbeing. 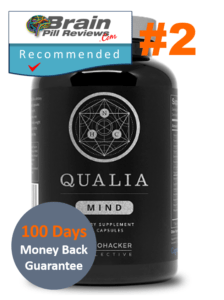 Their company believes that due to the toxins and electromagnetic radiation that we are exposed to on a daily basis, people should now more than ever before take the time to invest in a good, brain-enhancing supplement. What we love most about BioTrust is that they make sure to list all the ingredients in their products and provide explanations as to how each of them work. All the information could be found and accessed easily on their official website. This shows us that BioTrust is truly concerned about customer satisfaction. 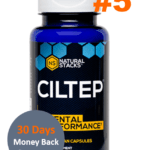 BioTrust uses a very smart and skillful manner of writing on their website in attempt to sell their products. There is absolutely nothing wrong with that and we are in fact quite impressed with the amount of knowledge that they have about their products’ formulation. 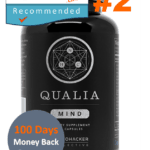 As we look through the formulation together, we can see that there are both brain and energy boosting ingredients listed. 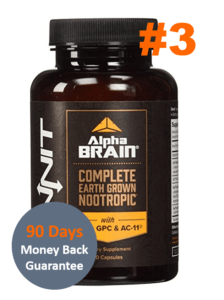 Let’s start with the 500 mg of Acetyl-L-Carnitine (ALCAR), which will not only work to help reduce overall fatigue but can also provide higher levels of mental clarity. Personally, ALCAR is one of our favorite focus-inducing ingredients available because it’s incomparable effectiveness. For all you fitness junkies out there you’ll also be happy to hear that ALCAR has been shown to help with weight loss. Next we have 100 mg of L-Theanine, also one of our top picks. It contains soothing properties that reduce anxiety, which helps to improve overall mood and mental energy levels. The brain becomes much more focused and relaxed, when we decrease the anxiety and stress laid upon it. 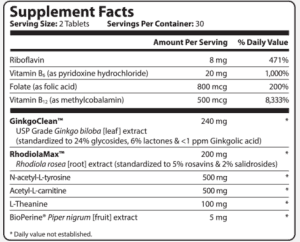 We also see 240 mg of one of America’s best-selling ingredients in the mix – Ginkgo Biloba. Ginkgo has been shown to improve overall cognitive function, particularly in regard to memory and concentration. If you have interest in improving mental abilities but don’t know where to start, Ginkgo can have your back. 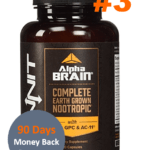 Brain Bright by BioTrust is a good brain-boosting supplement that may work for you to help with memory and focus issues. The world is moving fast and it’s not waiting around for anyone. 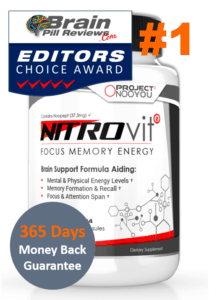 The smart decision would be to get yourself a cognitive supporting daily supplement to ensure that your mental edge stays intact. 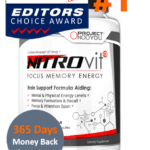 Brain Bright does contain valuable nootropic ingredients such as L-Theanine and Ginkgo Biloba. This immediately makes it a recommended-buy, particularly for those who are newbies in this business. 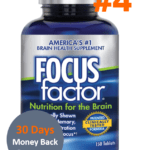 The price of the product is $48.00/month, which is quite a bargain considering the precision and quality of the formula.